I don't like carrots as a vegetable, but I love carrot cake. I don't like eating a raw or cooked carrot on its own, but I will eat it when it is in something like a stew or a stir fry, I still don't love it, but I will eat it. 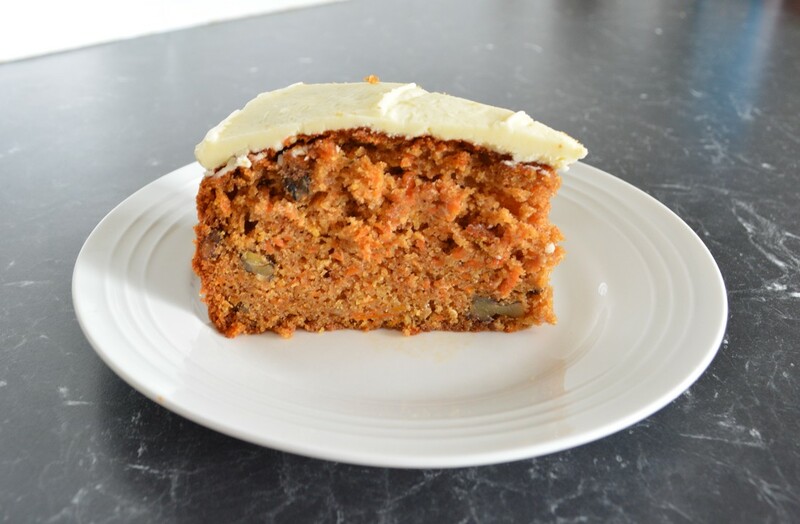 But carrots in carrot cake, I love it, this is one of my favourite cakes. 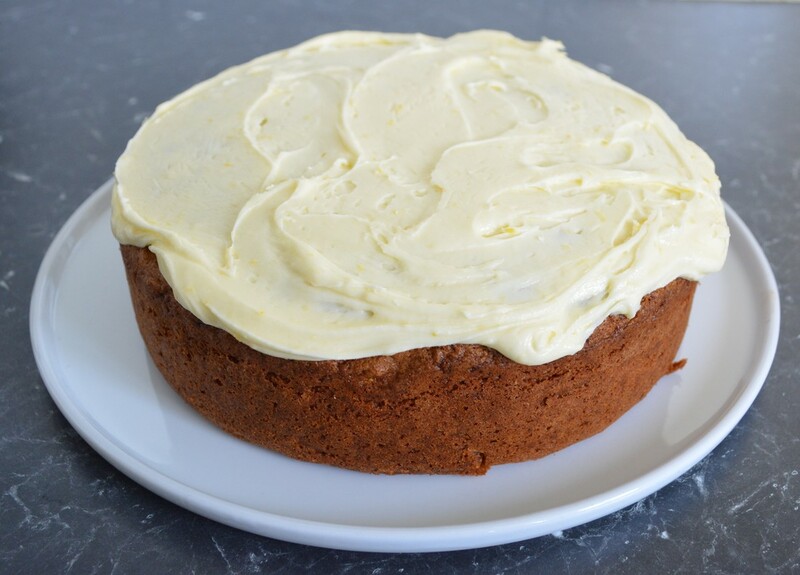 I love the cream cheese icing, with the lemon rind in it, this is perfect icing to me. This cake I find gets better and better as it keeps in the refrigerator. I had it in the fridge for a week and it was delicious even at day 5, moist and delicious. Just keep it covered in an airtight container. Every oven is different, cover cake loosely with foil during baking if it starts to overbrown. You can freeze the cake, frosted or unfrosted. So you can make it in advance or just freeze leftovers. ​You will need approximately 3 large carrots (540g) for this recipe. You can use canola or sunflower oil instead of vegetable oil. 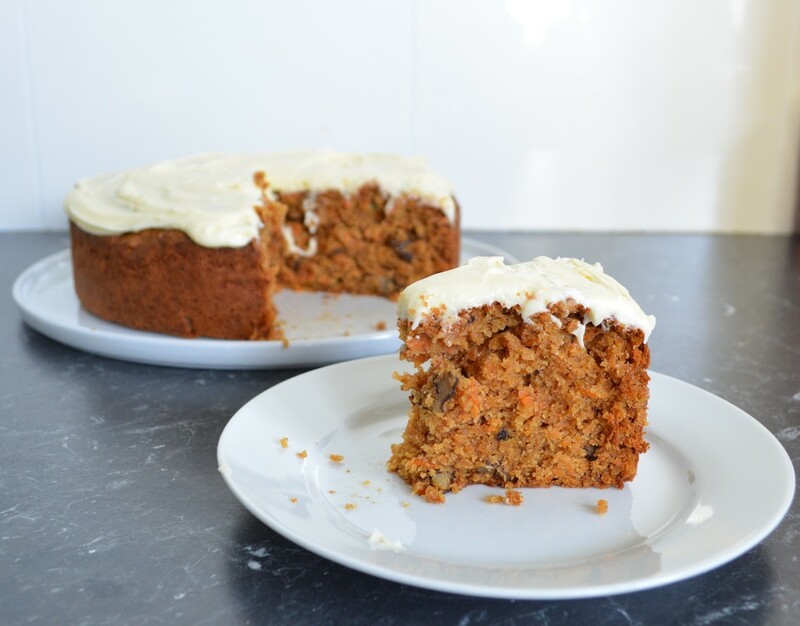 So if you love carrot cake and have never made it, give this one a try, it's delicious. Position oven shelves; preheat oven to moderate 180C/160C fan forced. Grease deep 22cm round cake pan, line base and sides with baking paper. In a small bowl add the oil, sugar and eggs, beat with electric mixer until thick and creamy. Transfer mixture to a large bowl. Add the carrot and nuts, then the sifted flour, bicarbonate of soda and mixed spice. Stir with a wooden spoon until combined. Pour mixture into your prepared pan. Bake cake in your preheated oven for 1 to 1 1/4 hours or until a skewer comes out clean or when you gently press on the cake, it feels baked. Stand cake 5 minutes then turn onto wire rack; turn cake top side up to cool. Lemon Cream Cheese Frosting: Beat butter, cream cheese and rind in small bowl with electric beaters until light and fluffy;gradually beat in icing sugar. Spread cold cake with lemon cream cheese frosting.